These activities are instinctively elementary. 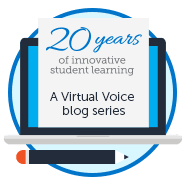 So, what happens when such a tangible experience goes virtual? It gets personal! My family and I are so thankful for FLVS that words can’t express enough how we feel. You see, I went to college to be a teacher assistant and I used to teach Pre-K, so I firmly believe in education through the public school system. Our plan for our first daughter, Riley Marie, was public school, just like all her other friends and family. But in 2015, our whole world changed. 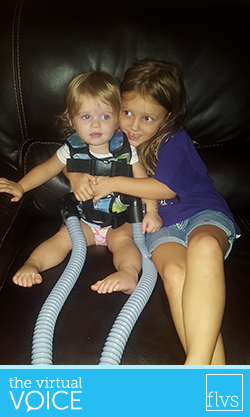 My second daughter, Holly Berlin, was born in January 2015 with a life-threatening genetic disease called Cystic Fibrosis. This disease changed the way we lived, traveled, ate, and even socialized. This disease can progress tremendously overnight with just one simple sickness such as the common cold. What do most elementary kids have to battle their first year in school? That’s right: colds, viruses, and more. For those of us in Florida, this can mean so many different things, from getting back on the allergy meds, to getting the hard yard work done before our incredibly long “heat wave” starts. And you got it – I’m talking about the looooooooooooong stretch that starts very soon and often ends in late fall! 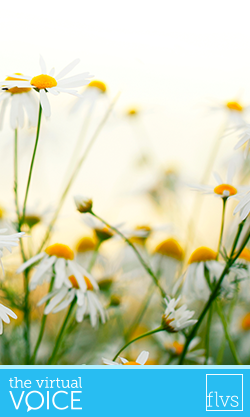 But in addition to all the personal connections to this season, spring becomes a reason for teachers to reflect on where we are with our students and our teaching this time of year. So, let’s start with time. Right about now, you either have adjusted, or are seriously wondering when you finally will adjust, to daylight savings time. Most of us experience that “falling back” in fall is a lot less disruptive than “springing forward” in spring. 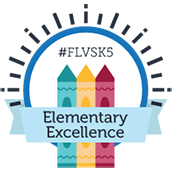 It provides a good analogy, because as teachers, flexibility and positively powering through are a part of being on the FLVS Flex Elementary team.